Peter Lane has been one of the leading full-time real estate professionals serving the communities of Gloucester, Rockport, Manchester, Essex and greater North Shore since 1986. Peter has 34 years experience selling single family residences of all types, condominiums, multi-family dwellings, land and commercial properties. He has sold over 1100 properties totaling over $180 million in sales during his career. Peter is a native of Gloucester, having resided there since 1959. He is very knowledgeable about the Cape Ann area. Peter attended local schools and graduated from Gloucester High School in 1977, serving as Class President. Peter went on to further his education at the University of Massachusetts in Amherst, graduating in 1981 with a Bachelor of Science degree in Hotel and Restaurant Management. After working 5 years for the Hyatt Corporation as banquet manager, Best Western Twin Light Manor Inn as front desk and assistant manager, and Bass Rocks Golf Club as Food and Beverage Manager, Peter embarked on a career in real estate sales. Peter was licensed as a salesperson in 1985 and later earned his broker license in 1989. Peter was affiliated with Realty World Fleet and Bernie from 1986-1994. In 1994, Peter opened his own real estate firm called Gloucester & Rockport Real Estate Inc. which he later changed to Century 21 By The Sea. He gained valuable insight and experience in real estate operations during his 7 years of ownership. Peter sold the franchise in 2000, remaining as an agent at Century 21. 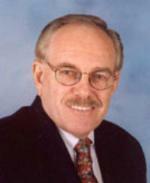 From 2004-2006, Peter was an agent for the Remax office in Gloucester. In April, 2007, Peter joined North Shore’s Gold Coast Realty as a part owner and agent. Peter has consistently won top sales awards in the Realty World, Century 21,North Shore's Gold Coast Realty and Remax systems each of the past 34 years! Peter has also continued his education by completing the required real estate course of study to obtain the prestigious Certified Residential Specialist (CRS) designation, of which only 4% of all realtors nationwide complete. He also took the Graduate Realtor Institute courses to obtain the GRI designation. Peter is a member of the National Association of Realtors, Mass. Assn. 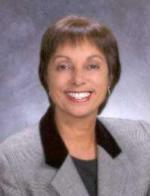 of Realtors, North Shore Assn. of Realtors, Cape Ann Chamber of Commerce, and Mass. Chapter CRS. Peter has served on the Member Services Committee for the North Shore Assn. of Realtors. Peter enjoys running, swimming, visiting the local beaches, and going to the local YMCA. Whether you are buying or selling property, Peter will guide you every step of the way. He is determined, honest, attentive to details, and Peter gets RESULTS! For the fastest, most professional, and courteous service, insist on Peter Lane! The purchase and sale of a home is one of the most important financial and emotional decisions a person will ever make. I believe it should also be one of the most enjoyable. Whether you are buying or selling, investing or building, considering condo conversions or new development projects, I am committed to helping you define and achieve your goals. My successes in all of these areas during my 31 year real estate career have been consistently proven. My executive experience in management, marketing, and sales cultivated in an earlier publishing career continue to serve me and my real estate clients well. My life experiences in pioneering endeavors from growing new publishing companies or founding a new school to single- parenting or opening a new real estate company equip me to best handle your new real estate endeavor. I am committed to providing superior service to my clients throughout the Cape Ann and North Shore area. To me, success in Real Estate cannot be measured by numbers alone. Rather, it is based on the satisfaction of each person with whom I work. My client satisfaction rating, done by an independent company, in some of the busiest real estate market years, has been 100% .I will mobilize my network of professional resources on your behalf, coordinate schedules, handle details and follow up to assure your complete success and satisfaction. In difficult markets and economic times when transactions can be even more complicated, the value of working with an experienced agent with your best interests at heart is, indeed, key. THE TRUE MEASURE OF MY SUCCESS IS YOUR SATISFACTION. Fatima Heath is one of four partners that established the Real Estate firm of NSGCR, Inc. dba North Shore’s Gold Coast Realty, in 2007. Fatima has an Associates degree in business management, attended New England School of Real Estate, and Lee Institute School of Real Estate. 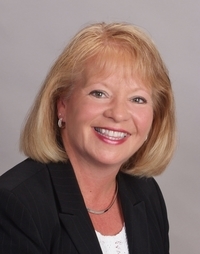 She has over forty years of real estate expertise in residential and commercial properties, and has been successful in many businesses. Fatima Heath operated her own company for over fifteen years and also worked for several large Franchise Companies before opening North Shore’s Gold Coast Realty. Towne Landing, Inc. dba Skipper’s Galley Restaurant was owned and managed by Fatima and her, husband, Brian for approximately twenty years. Soft Touch Salon in Gloucester and Class Cuts Salon at Bentley College in Woburn, Massachusetts was also established by Brian and Fatima. Today, Brian and Fatima own and manage residential units and are part owners of Heath’s Tea Room Restaurant in Rockport, Massachusetts. Fatima Heath is born and raised in Gloucester and is a lifetime resident. She is affiliated with the National Association of Realtors, Massachusetts Association of Realtors and the North Shore Association of Realtors. On a personal note, Fatima Heath has been married for over forty years, has two children, Justin and Kimberlie and four grandchildren, Maya, Lelia, Kylie and Eric. She is a spiritual person and enjoys meditation and spending time with her family. 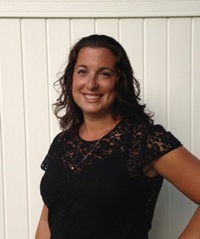 A life long resident of Cape Ann, Allison Brigham was born and raised in Gloucester. Attending Gloucester schools, she graduated from the high school in 1998. She went on to study communications at Worcester State College earning her BA degree. Since graduating from college, Allison has taken on the role of CFO managing all financial aspects of her family's business J & L Liquors (Seabreeze and Railroad Ave. Liquors in Gloucester) which is owned by her parents. Together with her husband Rob, GM of J&L Liquors, her hopes are to continue the family business and run it in the impeccable manner that it has for so many years. On a personal note Allison and Rob have two daughters Lilly and Samantha, and currently reside in Essex. Allison's interest in the real estate business stems from the many transactions she has been a part of over the years, whether buying or selling. She enjoys all aspects of this field and feels with her honesty and knowledge she could be a big part in helping buyers and sellers feel comfortable with these major life decisions. 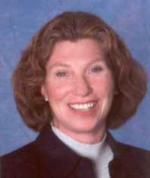 Her commitment is to assist buyers and sellers in a seamless and pleasurable experience. Canada. Extensive training in sales and marketing, management, budget and placement. Affiliated with the National Association of Realtors, Massachusetts Association of Realtors and the North Shore Association of Realtors. Community Involvement includes: Team Captain for Relay for Life, Cape Ann Chamber of Commerce, Member Gloucester Elks, Member Holy Family Women's Guild, Holy Family Parish, Member Rockport Garden Club, Server Cape Ann Open Door, YMCA. My philosophy..."Treat clients as I would like to be treated!" Give prompt follow up and stay ahead of all transactions! Cross the t's, dot the i's and go above and beyond making every client feel that they are my only client! Peter Foster is one of four partners that established the Real Estate firm of NSGCR, Inc, dba North Shore’s Gold Coast Realty, in 2007. Peter brings to the table his financial and accounting background and has had a broker’s license since 1980 and has been practicing real estate since 2004. Peter K. Foster was President of PKF Consulting, and had provided accounting and financial services to the Property and Casualty Insurance industry for eight (8) years. His clients have included TPA Associates of Andover where he held the position of Controller, ManagedComp Insurance Company, Waltham, MA, where he was responsible for managing and re-organizing the accounting area, and ProMutual Group, in Boston, MA, where he was a leader on the Mergers and Acquisition team. Mr. Foster began his insurance career with Holyoke Mutual Insurance Company in Salem, MA, where during 12 years of dedicated service, he worked his way to the position of Accounting Manager and Assistant Treasurer. Mr. Foster continued his career on the West Coast as Accounting Manager at Western Employers Insurance Company in Santa Ana, California. During his tenure at Western the business grew from a one state workers comp. carrier to a multi state/multi line carrier, and Mr. Foster advanced to the position of Assistant Corporate Controller with a staff of 28 people. After the closure of Western Employers Insurance Company, Mr. Foster accepted a position with a new IPO insurance company. He served as Controller and Vice President of Condor Insurance Company in El Segundo, CA. After a successful 7 years with Condor, which was acquired by Amwest Insurance Group, Mr. Foster relocated to Massachusetts and began his own consulting business. Mr. Foster is a 12th generation native of Gloucester, a MA Notary Public, active in church as Financial Secretary and a member of Bass Rocks Golf Club. He is affiliated with the National Association of Realtors, Mass. Association of Realtors and the North Shore Association of Realtors. He attended Bentley College, North Shore Community College and received his Associates degree in accounting and finance from Salem Commercial School, Salem MA. He also is a Certified Buyer Representative and is Premium Service Certified and Quality Service Certified since being in the Real Estate business. With his many years of experience in accounting and finance in Property and Casualty Insurance business, Mr. Foster sees the future of the Real Estate market significantly benefiting the continued success of the smaller independent brokers to better serve the Buyers and Sellers needs for the future. Alison Aiello is a lifetime resident of Cape Ann, residing in Gloucester for over 55 years. 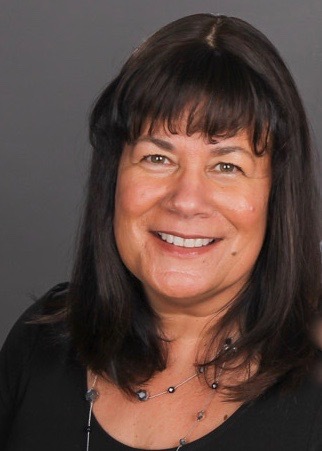 Alison attended local schools, graduating from Gloucester High School in 1981 and Middlesex Community College with a degree in Dental Hygiene. Alison has been a practicing dental hygienist for the Cape Ann community for over 35 years, establishing many relationships within the community with her excellent patient care. Alison is a true member of the Gloucester community, dedicating her time and energy to local schools, churches, and organizations throughout her lifetime. She has established her roots here with her husband of over 30 years, John, and their two daughters, son-in-law, and granddaughter. Working side by side with her husband John, the pair have pursued a new dream of real estate and have established themselves as a team for North Shore’s Gold Coast Realty. Their strong worth ethic, partnership, and ties to the community make them an unbeatable team. As lifelong residents, Alison and John are excited to work with the people of Cape Ann in a new way and to help welcome new residents to their home-sweet-home.